The significance of content is growing day by day and enterprises are now relying on web content management (WCM) systems to manage the complex task of creating and publishing digital content. A key catalyst to Episerver’s growth is its cloud-based delivery. Powerful editing capabilities, deep customization and personalization features, seamless third-party integrations, strong marketing capabilities- all make Episerver a great choice for enterprises. 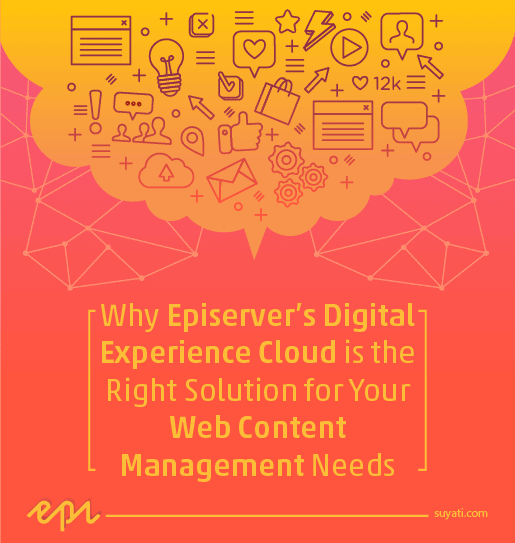 How Episerver’s Digital Experience Cloud supports web content management? How is it infusing dynamism into content? To learn more, download your free copy of the white paper now!